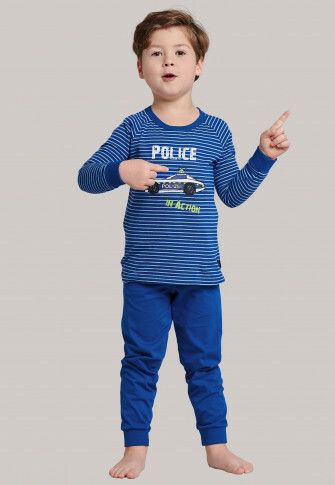 These long, blue boys' pajamas are just the thing for all mini-policemen! 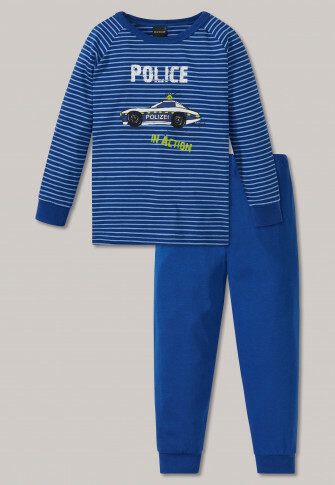 The large emergency vehicle on the striped top looks really great with the words "Police in Action" and is perfectly complemented by the dark blue pants. 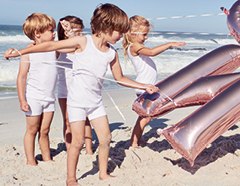 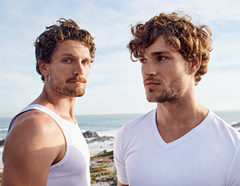 Soft single jersey made of 100% cotton and the cuffs make this two-piece set wonderfully comfortable and ensure exciting dreams - in the best SCHIESSER quality, of course!